The State of New York is set to spend millions of taxpayer dollars to resettle refugees into the Empire State. This year’s budget for the State of New York includes $2 million to pay for the resettlement of foreign refugees. Cities taking in refugees receive the funds to pay for their resettlement, according to WKBW News. Additionally, New York is expected to extend the refugee resettlement assistance period from 90 days to five months, making it one of the most pro-refugee states in the U.S.
Foreign refugees inundated Western New York during the last few years, arriving primarily from Muslim-majority nations. Erie County took in 36 percent of all the refugees resettled in the state last year. In this Fiscal Year, alone, New York has seen 2,302 refugees resettled in the state, with 566 of those refugees arriving in the state after President Donald Trump was inaugurated, according to federal records. As Breitbart Texas has reported, New York has one of the largest and growing foreign populations in the U.S. A staggering 1.5 million illegal immigrants live in the New York City and northern New Jersey region. Refugee resettlement has been an issue for Trump’s administration, as plans to stop the inflow of refugees coming from the Middle East were thwarted by left-wing judges. 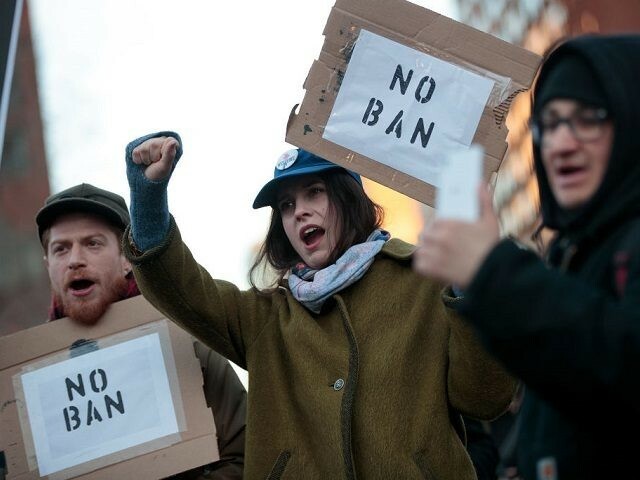 Despite mainstream media narratives pushing for the U.S. to take in more refugees, the majority of Americans want a slowing of refugees from the increased levels put in place by the former Obama administration, as Breitbart News reported. Also, the vast majority of refugees entering the U.S. are coming from terror-exporting nations, including Iran, Iraq, Sudan, Somalia and Syria, Breitbart News reported. Just in the last week, more than 70 refugees from Syria have entered the U.S., all of which are Muslim.